The story of how Miss Constance (‘Connie’) Hargreaves entered my life, must begin with my fascination with another lady who shared her surname: Mrs Alice Hargreaves who, before her marriage, had been Alice Pleasance Liddell, the child muse of the Reverend Charles Lutwidge Dodgson, better known as ‘Lewis Carroll’. Such was my youthful admiration for these two great nonsense writers that I knew most of their verse by heart and, while still a schoolboy, began collecting books and magazine articles about them and their extraordinary creations. I was also, by then, an avid film fan with a particular fondness for British screen eccentrics such as Robert Morley, Joyce Grenfell, Alastair Sim and Margaret Rutherford. The writer of this introduction not only compared Lear with Lewis Carroll, he also made some tantalizing comparisons with another poet - of whom I had never heard - named Constance Hargreaves. Mr Baker admitted that this lady was “almost unknown” but pointed out that she had, nevertheless, published “a slight collection of verse… printed very privately” under the title, ‘Wayside Bundle’. The poet’s name particularly caught my notice because of the Carrollian association with Alice Liddell-Hargreaves and I duly made enquiries at my local library about ‘Wayside Bundle’ and its author, but without success. 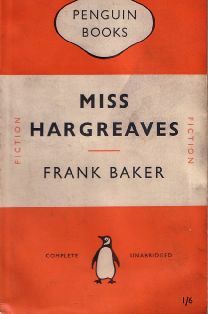 Others, more knowledgeable than this young lad, would have immediately got the joke and known that ‘Miss Hargreaves’ was Mr Baker's own creation and the central character in a novel of the same name which subsequently became a stage play starring - who else? 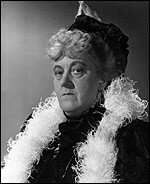 - Margaret Rutherford! Despite failing to find any information about Constance Hargreaves and her ‘Wayside Bundle’, I treasured Miss Rutherford’s anthology and being, at the time, an aspiring cartoonist, was prompted to draw some new illustrations to Lear's verses that I sent to the actress, so beginning a correspondence across several years. Although I had not succeeded in locating any published works by Constance Hargreaves, the name remained in my consciousness as an unsolved mystery until the day, a year or two later, when I was wandering around my local branch of Woolworth’s, and came across what, in retail-speak, is called a 'dump-bin' containing a lot of paperbacks at bargain prices. Was this a list of items purchased by the Jumblies when they went to sea in a sieve and sailed to “a land all covered with trees”? Or were they, perhaps, among the possessions offered by the Yonghy-Bonghy-Bò to the Lady Jingly Jones as a marriage dowry? No! They were part of a poem by the author of the elusive ‘Wayside Bundle’! The penny dropped and I instantly snatched up the book, along with another novel by the same author entitled ‘The Birds’ - as a film fan with a fondness for Hitchcockian horrors, I was now doubly intrigued! 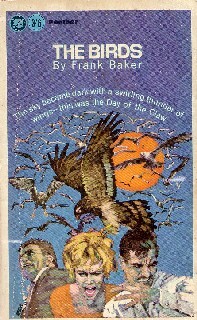 I devoured both books: genuinely scared by the avian aggressors in ‘The Birds’, which I discovered pre-dated Hitchcock and his alleged source material, the short story by Daphne du Maurier. As for ‘Miss Hargreaves’, I adored the story of how, on the “spur of the moment” (what J. B. Priestley called the “dangerous corner”), Norman Huntley and his friend, Henry Beddow, invent a person named Miss Constance Hargreaves and invest her with life. Norman and Henry settle her in a house called Sable Lodge in Oakham, Rutlandshire; make her a niece of the Duke of Grosvenor; give her a harp, a portable bath, a Bedlington terrier named Sarah and a cockatoo called Dr Pepusch, after the author of The Beggar’s Opera. It is intended as nothing more than a game - until they find that the figment of their imaginations takes on flesh-and-blood reality. I can remember nothing about our creation and whilst, sadly, we did not have the success 'enjoyed' by Norman and Henry, I have to tell you that the undelivered - indeed undeliverable - letter was, very mysteriously, never returned to sender! 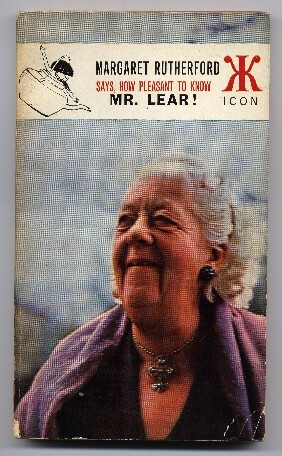 The response was, for me, disappointing: the BBC still had, in its archives, a recording of an earlier radio dramatisation made by Frank Baker himself and with Margaret Rutherford in the title role; they were not, therefore, interested in my proposal for a new production. Nevertheless, they did civilly enquire whether I had any other ideas and I impetuously suggested dramatising The Lord of the Rings and that, eventually, is exactly what I did! Following the Sony-Award winning success of my subsequent radio dramatisations of Mervyn Peake's ‘Titus Groan’ and ‘Gormenghast’ in 1985, I took the ‘Miss Hargreaves’ project back to the BBC, via my fellow prize-winner, director Glyn Dearman. On this occasion, the BBC bought the idea, commissioning a 90-minute dramatisation for Radio 4’s 'Saturday Night Theatre' slot. Joan Hickson was my first choice for the title role (because she reminded me of the ghostly picture of Miss Hargreaves on the cover of the Panther edition) but she was unavailable as was another possible player, Peggy Ashcroft. The part eventually went to Jean Anderson - famous from the TV series, Tenko - who perfectly captured Miss Hargreaves’ vacillating moods, by turn pathetically frail and formidably feisty. Young Dale Rapley, now a prolific theatre actor, played Norman Huntley while David Swift gave an engaging portrayal of Norman’s father, Cornelius, a slightly dotty antiquarian bookseller. The cast also included Donald Gee (Mr Boynton in ‘Born and Bred’) and Leonard Fenton (‘EastEnders’ sometime Doctor Legg) who yapped for Sarah the terrier and squawked for the tirelessly loquacious Dr Pepusch! I asked David Hewson, a former school-friend who was now a professional composer, to write the music for Miss Hargreaves' harp and Cornelius Huntley's violin compositions. The results - combined into a beautifully evocative and haunting theme - were both mysterious and melancholy. ‘Miss Hargreaves’ was broadcast on 21 October 1989 and - at long last - I was able to repay a little of my indebtedness to Frank Baker. Soon afterwards, the story turned full circle, when Dave Hewson and I collaborated on writing a show with music based on Edward Lear's life and poetry. Entitled ‘To Sea in a Sieve’, the production was staged at the 1990 Edinburgh Festival Fringe and was revived at the Westminster Theatre in London the following year with myself in the role of Edward Lear and actress Polly March playing everyone else! Our sincere thanks to Brian for this contribution and for conveying such enthusiasm for Frank Baker's work. 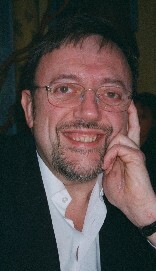 To find out more about Brain Sibley and his books and broadcasts please visit www.briansibley.com. Do you know this woman....!? Is this the face of Miss Constance Hargreaves herself? and bearing her distinctive feather boa. However we are not certain of this. So please contact us if you know more about this picture!